Co-CIOs of Generation Investment Management Mark Ferguson and Miguel Nogales proved that the firm’s principles of sustainable investing work. Now co-founders Blood and Gore need to reach the next generation. Blood’s reticence is not just old-school paranoia; it is a reflection of the principles on which Generation was built. The firm is dedicated to investing in sustainable businesses. One of its bedrock beliefs is that companies and investors should be focused on the long term, not lurching from quarter to quarter or fixating on the size of their annual bonuses. Generation is designed to encourage long-term thinking. That includes an incentive fee structure that defers payment for three years or longer, and a compensation structure to match. Nothing speaks louder than results, and Generation has the numbers to back up its principles. The firm’s flagship investment vehicle, an $11 billion long-only global equity strategy, celebrated its ten-year anniversary this spring and has an annualized return since inception of 12.14 percent, according to data provider eVestment. That’s a whopping 559 basis points a year more than the MSCI World Index for a period that saw the collapse of the subprime mortgage market, the global credit crisis, economic upheaval in Europe, China’s ascent to become the world’s second-largest economy and the growing recognition of the economic and social ramifications of climate change. Generation’s edge comes from its ability to recognize and value good businesses that are likely to do better than their peers. “The important part of material nonfinancial [ESG] factors is that they can give you some information about how a company is going to perform in the future,” says George Serafeim, an associate professor at Harvard Business School and an expert on sustainability. During the past decade Generation has changed ESG data from something that was largely meaningless for asset managers into a useful investment tool. When Blood and Gore founded Generation, very few managers were incorporating ESG factors into their investment approaches and even fewer thought that doing so could drive returns. The common wisdom was quite the opposite — that the consideration of issues like climate change or labor relations was likely to be an impediment to good results. Generation has proved that wisdom wrong. Yet the more investors come to share their worldview, the less edge that Blood, Gore and their team will have. Such is the price of transforming how the world thinks about capitalism. Generation seeks to project the values and best practices it admires in others. Its elegant, contemporary offices at 20 Air Street in London’s West End are environmentally friendly and use recycled wood. The firm even buys carbon credits to offset its emissions. There is a heavy emphasis on corporate culture and creating a meritocracy that encourages creativity, hard work and innovation. Out of a staff of 75, 28 are partners with equity in the business. The core team has been in place since the beginning, and there is very little overall firm turnover. Such cultures of excellence, however, can sometimes lead to groupthink and insularity, as the Generation team knows well through its research: It has created a focus list of some 125 companies around the world in which it invests based on the quality of their business and management. As value investors, the Generation equity team wasn’t spooked by the China-induced market sell-off in August. With close to 10 percent of the fund’s assets in cash, in part because the firm considered the valuations of many of the companies on its focus list to be too high, they used the downturn as an opportunity to buy. If Ailman has one major criticism of Generation, it is the lack of competition. Typically in a capitalist world, a good idea will be adopted by others, he explains. To date, despite a strong ten-year track record and a commitment to changing the capital markets ecosystem, Generation’s efforts to lead by example have fallen short. Early in its existence Generation tried to lead a coalition aimed at integrating sustainability into sell-side research, producing in-depth reports on issues such as carbon investment risk, and it has repeatedly called for investors to be more long-term-focused. Yet the global sell-off in August was a sharp reminder of how short-term the financial services industry remains. Initiatives like the San Francisco–based, nonprofit Sustainability Accounting Standards Board (SASB), which Generation helped seed through its foundation, aim to make analysts better able to understand the value of nonfinancial data. Industry leaders Michael Bloomberg, founder of data and news empire Bloomberg LP and a SASB board member, and Laurence Fink, co-founder and CEO of asset management giant BlackRock, are speaking out in favor of sustainability and recognizing the value of ESG as a business and investment approach. They are being joined by a new generation of fund managers and market participants, including SASB founder Jean Rogers; Erika Karp, who two years ago started her own sustainable financial services firm, Cornerstone Capital Group; and John Goldstein and Taylor Jordan, who in July agreed to sell their San Francisco–based impact investing firm, Imprint Capital Advisors, to GSAM. Increasingly, investors are not waiting for Wall Street or the asset management industry to catch up. Faced with mounting evidence of the damaging effects of a warming atmosphere and pressure from various stakeholders, including environmental activists pushing for institutions to divest from fossil fuel providers, more and more institutional investors are paying attention to the carbon risk in their portfolios. “I would highly recommend people who are looking to divest from carbon take a look at Generation,” says Larry Schweiger, a longtime conservationist and a board member of the Climate Reality Project, a nonprofit founded by Gore to promote education and initiatives about climate change. Schweiger was president and CEO of the National Wildlife Federation from 2004 to 2014; under his watch the NWF became a Generation investor. “It was one of the best-­performing investments in our portfolio,” he says. Generation’s $1.2 billion private equity business invests in companies that are part of the solution to the climate crisis. But to view Generation through the lens of climate alone is to miss the point. The firm’s objectives are at once more prosaic — it invests this way because it believes it’s a better way of making money — and more profound. At age 11, David Blood moved with his family to Rio de Janeiro after his father, a Ford Motor Co. executive, was transferred to Brazil. Blood, who was born in Pittsburgh but spent most of the first decade of his life in suburban Detroit, got his first eyeful of true income inequality. From the balcony of the apartment in the wealthy neighborhood where his family resided, Blood could see a boy roughly his age who lived in a favela. “I didn’t understand how I got to live one way and he another,” he says. Blood’s three years in Rio left him with a lifelong commitment to tackling income inequality. Two years later Blood applied to and was accepted by Harvard Business School. Following his graduation in 1985, he joined Goldman, Sachs & Co. in New York, where he thrived. Blood served in various roles at the investment bank. In 1993 he moved to London to lead operations, technology and finance for Goldman in Europe. Three years later he joined GSAM; in 1999 he became co-CEO. It was at GSAM that Blood was introduced to sustainability by Ferguson, who was co-head of the financials research team. In 2002, Ferguson was invited by his good friend Colin le Duc, a director at Zurich-based Sustainable Asset Management (SAM), to a conference on the subject. For Ferguson it was a lightbulb moment. “Mark was so excited. I remember him coming back,” Blood says. “He literally pinned me against the wall to explain what sustainability was.” As Ferguson recalls, this interaction took place in a glass-walled conference room at GSAM’s London office. Afterward colleagues thought there had been some kind of altercation. In fact, Blood and Ferguson were on the same page. The two wanted to integrate sustainability into investing. Although GSAM at the time was looking at corporate governance, Blood realized the firm was not set up to embrace the type of holistic approach he and Ferguson envisioned. In the U.S. socially responsible investing (SRI) was perceived as a fringe movement dating to the 1960s, when a growing number of individuals — as well as a few, mostly faith-based institutions — wanted to invest in accordance with their values. They avoided companies that were selling arms or producing napalm, which was being used to bomb Vietnam and Cambodia. During the 1970s and ’80s, a large activist movement sprang up around divesting from companies that did business in apartheid South Africa; at the same time, rising environmental concerns led some investors to try to find green companies. Other investors did not want to hold tobacco stocks or shares in companies that were exploiting workers in developing-market countries. Led by firms like Domini Social Investments and Calvert Investments, a mutual fund industry sprang up around SRI investing. Though some academic studies reported otherwise, it was commonly believed that SRI funds underperformed relative to unconstrained active managers. By 2003, Blood, one of the few Goldman partners who had voted against the firm’s 1999 IPO, was planning to leave. The IPO, along with new Goldman leadership and broader changes in U.S. banking in favor of proprietary trading and securitization and away from investment banking were having an impact on the firm’s culture. Before Blood left GSAM, another Goldman partner, Philip Murphy, asked him if he would help advise former vice president Gore on a deal. The son of a U.S. senator, Gore entered political office in 1977 at the age of 28. “I had a pretty clear plan for my life,” he says. “Up until the Supreme Court decision.” Bush v. Gore upheld the disputed 2000 presidential electoral result in Florida and handed the presidency to Republican George W. Bush, leaving the former vice president to figure out what he was going to do with the rest of his life. He turned to business, going to work for Google and joining the board of Apple. Then he was offered the opportunity to work for Los Angeles–­based money manager Metropolitan West Asset Management. Gore spent three years at MetWest, learning the business of investment management. He says he found the work “fascinating” but ultimately “unsatisfying on a personal basis simply because it was almost exclusively about money.” He thought he might be able to put what he was learning to use in a different way, and he decided to buy a sustainable investment firm. Having been introduced to SAM by one of its principals, Gore entered into discussions to buy it. For help with the due diligence, he approached Goldman’s Murphy, who connected him with Blood. The first meeting took place in April 2003 in Boston. It quickly became apparent to Blood and Gore that buying SAM was a nonstarter. Instead, they began talking about creating a new firm. At the same time, le Duc and Ferguson were also talking about working together. “Mark said to me, ‘You’ve got to meet David Blood,’” le Duc recalls. Blood, Ferguson and le Duc worked on a two-page business plan that Blood presented to Gore. Those two pages would form the backbone of Generation. The firm would be an investment boutique, running three different types of funds: global equity, private equity and private debt. It would also operate a foundation; today 5 percent of the profits go toward the Generation Foundation, whose mission is to promote sustainable capitalism. Launching a long-only, global active management firm in the mid-2000s wasn’t easy. As a former head of GSAM, Blood had credibility running an investment management operation, but going into business with Gore was a risk. The former vice president had no such track record and came with all the baggage of a bruising political campaign. At least once, Blood met with Gore fully intending to call off the whole plan, but the latter’s passion and understanding of the issues persuaded him to continue. Mark Ferguson knows what it is to live under a microscope. From 1986 to 2013 his father, Sir Alex Ferguson, was the manager of Manchester United Football Club, the most popular, and therefore the most reviled, football team in football-mad England. Under the leadership of Ferguson — known for his fierce intelligence and notoriously hot temper — United was more often than not the most successful club. Every one of Ferguson’s decisions, both on and off the pitch, was scrutinized by press and fans alike. He studied urban land economy at Sheffield Hallam University in South Yorkshire, England, and went on to earn an MBA in international finance from the European University in Paris. It was in Paris that he met and became friends with le Duc, who at the time was working for an energy company. In 1993, Ferguson joined London-based Schroder Investment Management as a research analyst. He moved to GSAM in 1999. When Ferguson and Blood started building the Generation investment team, they needed a health care analyst. “We asked ourselves, ‘Who is the best health care analyst we know?’” Blood says. 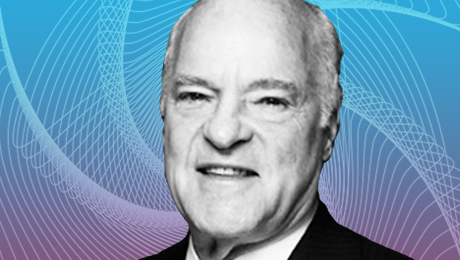 The answer was Miguel Nogales, who had worked with Ferguson at Schroders. They didn’t think that Nogales, who had recently relocated with his family to Geneva, would want to join their ragtag start-up. Instead, they asked the analyst whom he would recommend. “And Miguel said, ‘Why not me?’” Blood recalls. Nogales joined Ferguson, Blood, Gore and le Duc. The other two founding partners were chief operating officer Peter Harris, previously head of internal operations at GSAM, and president Peter Knight, Gore’s former chief of staff, who oversees client management. By the time Generation launched, it had nine analysts, including Ferguson, Nogales and le Duc. Today the global equity fund has 17 analysts. 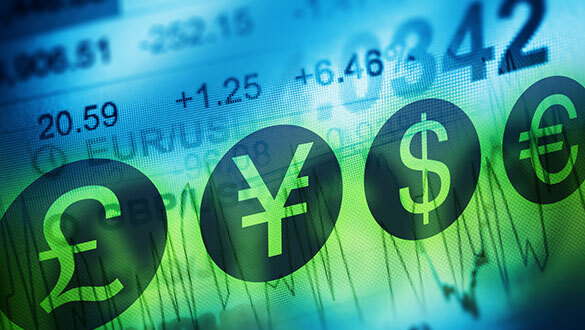 At Generation the analysts play an important role in managing the portfolio. “I’ve always thought that the people who know the companies are the analysts, not the portfolio manager,” Nogales says. For the first three years of Generation’s existence, neither Gore nor Blood drew a salary. For almost a year the firm did not manage any external money. Instead, the team spent time building a common investment language and process. Generation’s breakthrough was integrating the disciplines of finance and sustainability. Rather than existing on the periphery, ESG factors such as the social and environmental impact of a product, the sustainability of a market and labor relations became central to the conversation and, as a result, leading indicators of whether a company was likely to do well. The firm’s advisory board, chaired by Gore, meets twice a year. The board consists of business leaders, industry experts and other luminaries. Its members include Nobel Prize–winning chemist Mario Molina, an expert on the impact that pollution has on the ozone layer; Mary Robinson, a former president of Ireland and the founder of nonprofit Mary Robinson Foundation–Climate Justice; and Laura Tyson, who chaired the President’s Council of Economic Advisers during the Clinton administration. The board helps establish a macro framework of trends and ideas. The areas Generation sees as the greatest drivers of global change are the deepening interdependence of global economies, the changing geopolitical power balance, growing consumption patterns colliding with depleting natural resources, the life science revolution and the climate crisis. The Generation global equity fund is a concentrated portfolio, typically holding between 30 and 50 stocks at any one time. As co-CIOs, Ferguson and Nogales have to agree on buying or selling a stock. But for a company to end up in the portfolio, it first has to end up on the firm’s focus list — which is a competitive process. Analysts pitch their ideas at investment committee meetings, and the entire investment team asks questions. More often than not, the analyst will be told to go away and do more research. The entire team votes on whether to add a stock to the list. CalSTRS CIO Ailman likes to drop in on his managers unannounced. When he is in London, he makes a point of visiting Generation. Once he even succeeded in crashing an analyst meeting, sneaking in behind someone coming back from a coffee run. Ailman was gratified to see that the analysts were doing what they are supposed to do: talking about companies. Generation has what Ferguson describes as a “learning culture.” There is a book club that meets every three months; the reading list has included Thinking, Fast and Slow by psychologist Daniel Kahneman and MIT Sloan School of Management professor Erik Brynjolfsson’s The Second Machine Age. Every year Generation holds a “hits and misses” meeting at which the investment team discusses both the investments that worked and those that didn’t. When Nogales talks about health care stocks, his eyes light up. His experience with the medical industry is both professional and personal. He grew up in Spain, where his father is a doctor and teaches pathology at the University of Granada Medical School. Nogales chose a career in finance, starting as an analyst with Schroders in London in 1996 after graduating with a first-class degree in economics from the University of Cambridge. In 2000, Nogales was hired by New York–based asset manager W.P. 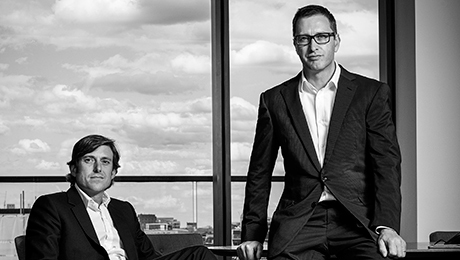 Stewart & Co. (now part of AllianceBernstein) to help set up a European business in London. In early 2003, he was diagnosed with testicular cancer. During his treatment he resigned from W.P. Stewart; he returned to work later that year with Geneva asset manager Mirabaud & Cie. Six months into his stint with Mirabaud, Nogales got the call from Ferguson. For Nogales — as for Gore, Blood, Ferguson and le Duc — Generation provided the opportunity to put together the pieces of a jigsaw that had been forming in his mind over many years. Growing up in the 1980s, Nogales was very aware of the environmental activism of groups like Greenpeace International and campaigns to save the rain forests and protect the ozone layer. His interest in environmental causes continued into his adult life. As an investment analyst he had already made the connection between high-quality companies and high-­quality management teams. Then, while working at Schroders, he came across Novo Nordisk. Based in Bagsværd, Denmark, the multinational pharmaceuticals company is legendary in sustainability circles for its commitment to the triple bottom line: financial, social and environmental returns. Founded in the 1920s and focused on diabetes, Novo Nordisk is the world’s No. 1 supplier of insulin; it also works with governments on diabetes prevention and has a strong commitment to providing affordable health care, particularly in developing countries. The company itself is majority-owned by the Novo Nordisk Foundation, whose stated purpose is “to provide a stable basis for its company’s operations and to make contributions to scientific, humanitarian and social progress.” Shares of Novo Nordisk, a Generation portfolio staple since April 2005, have gone from about 64.1 kroner in April 2005 to 373 kroner as of September 3. For Generation a sustainable business is “a company whose current earnings do not borrow from future earnings,” Nogales says. “It also sells goods and services consistent with the type of society we aspire to live in.” For the investor road map Generation developed for Nogales’s sector, the firm wanted to “find health care companies that are delivering real value to patients,” he explains. “And we were interested in health care companies that help to lower the overall cost of delivering health care to a population.” In addition to Novo Nordisk, Generation owns medical device makers C.R. Bard; Becton, Dickinson & Co.; and Varian Medical Systems. Generation’s approach to sustainability has evolved over time. In health care the firm is more focused than ever on affordability. Although its health care portfolio has been one of its strengths, Generation has tended to avoid drugmakers. It doesn’t invest in Big Pharma companies like Merck & Co. that often come up on sustainability screens. “Our assessment of a company is not based on how big its sustainability report is,” Ferguson says. The equity fund avoids certain sectors. “We realized some time ago that the area of highly regulated government industries is not a profitable one for us,” Ferguson says. Not surprisingly, Generation doesn’t invest in developed-­market bank stocks or any utilities. Although the firm has never followed a benchmark, it was not initially totally comfortable disregarding entire sectors, like fossil fuels. It even had an investment in U.K.-based oil and gas giant BP. Generation cut its position after the 2005 Texas City, Texas, refinery explosion, which killed 15 workers, well before the massive 2010 Deepwater Horizon oil spill, which has cost the company nearly $54 billion. In 2006, as head of global sector research for UBS Investment Bank, Erika Karp was given an assignment. Two years earlier a group of asset owners and asset managers had formed the Enhanced Analytics Initiative with the intent of encouraging sell-side analysts to include ESG factors in their work. The incentive was to come in the form of commission dollars, with each of the EAI signatories — a bloc that would eventually grow to 30 asset owners, representing $2.8 trillion — pledging to direct a minimum of 5 percent of their annual brokerage research budgets to the leading ESG research providers. UBS wanted to see if it could get some of those commission dollars. 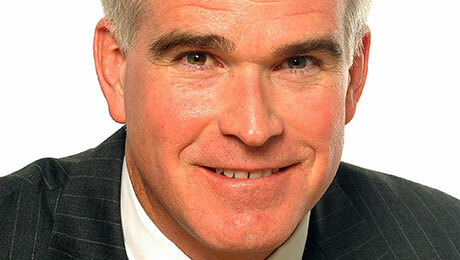 Karp was handed management responsibility for the firm’s SRI team and called Blood, who was chairman of the initiative. EAI started Karp on a journey to becoming one of the leading proponents of ESG research. As an effort to get the sell side to integrate these factors into its work, however, the initiative has been markedly less successful. After a brief flurry of interest, seven sell-side firms, including Citi, Deutsche Bank and JPMorgan Chase & Co., closed their ESG units in the crisis year of 2008. (Several of the banks have since relaunched ESG efforts.) EAI was folded into the United Nations Principles for Responsible Investment program. Generation, for its part, has worked to figure out what nonfinancial information may have material consequences for companies. Gore likes to use the analogy of a spectrum of light: What the human eye can see is only a small part of what makes up a ray of light; similarly, traditional financial factors represent only a small part of what makes up a company’s value. The ability to predict how management decisions and actions taken today might affect future earnings helps Generation buy when others are selling. “For us the conviction in the long term is what gives us the ability to be contrarian,” Nogales says. Some corporations have been making Generation’s job easier, increasing their commitment to sustainability and providing better information — and data — about what they are doing. In a 2014 paper written with Kathy Miller Perkins, CEO of Miller Consultants, Harvard’s Serafeim charts the trajectory of the sustainability officer’s role at corporations from a compliance function to one that makes a company more efficient — cutting waste or reducing emissions, for example — to a source of innovation and business growth. Groups like the B Team, a not-for-profit founded in 2013 by Virgin Group founder Sir Richard Branson and Jochen Zeitz, former CEO of sporting goods company PUMA, have sprung up to encourage sustainable initiatives by the C-suite. Sheila Bonini, CEO of the Sustainability Consortium, a global not-for-profit dedicated to promoting sustainability at consumer brands, says that increasingly corporations are taking action because they appreciate the value of sustainability, as well as the risks of ignoring it. Mainstream Wall Street has not caught up with this kind of thinking. “CEOs constantly complain to us that they know what to do long-term for their companies” but that the quarterly cycle and focus on earnings calls and guidance are forcing them to look only at the short term, says CalSTRS CIO Ailman. “Management is too focused on a 90-day time period,” he adds. An in-house sustainability expert at a large U.S. multinational company tells II that his CEO is always prepped to answer sustainability questions on earnings calls, but the subject almost never comes up. “A lot of the industry recognizes that these things make sense but has no idea what to do with the information because it does not fit” into their earnings-focused models, says Andrew Howard, founder of London-based Didas Research. Howard co-headed GS Sustain — Goldman Sachs’ ESG research effort — before starting his own firm in 2013. Two changes could help Ferguson achieve his wish. The first: new European Union rules that will require asset managers to pay for research. As a result, managers are expected to cut their spending budgets but to focus on high-quality, relevant research. The second: efforts under way — like the SASB project launched in 2011 by former management consultant Jean Rogers — to help establish a common language that would make ESG actions easier for Wall Street to interpret. SASB’s mission is “to develop and disseminate sustainability accounting standards that help public corporations disclose material, decision-useful information to investors” for 80 industries. There are signs of progress. In 2013, Karp left UBS to start her own firm, Cornerstone Capital Group. A full-service financial services firm dedicated to sustainable capitalism, New York–based Cornerstone offers not only investment research and investment banking services but is also an investment advisor. On the other end of the asset spectrum, $4.72 trillion, New York–based BlackRock has launched a sustainable investment business. And in August, GSAM closed on its acquisition of Goldstein and Jordan’s Imprint Capital. Blood says part of the purpose behind launching Generation as an institutional investment manager — and leading with a global equity product instead of a more niche private markets strategy — was to have a broader influence. “In the public markets we could more effectively express our views on why sustainability makes sense,” he explains. Yet all Generation’s strategies are capacity-constrained. The global equity fund is soft-closed to new capital, although the manager will selectively take in new investors when there is capacity. To reach the broadest audience, the asset management industry needs mutual funds, superior indexes and even exchange-traded funds built around sustainable investing.